Floyd Mayweather preserved his unbeaten record with a unanimous points victory over Manny Pacquiao in their welterweight unification showdown in Las Vegas. The judges awarded Mayweather the 48th win of his career with scorecards of 118-110 116-12 116-112 and in truth it was an easy night for the American, who picked Pacquiao off at will. 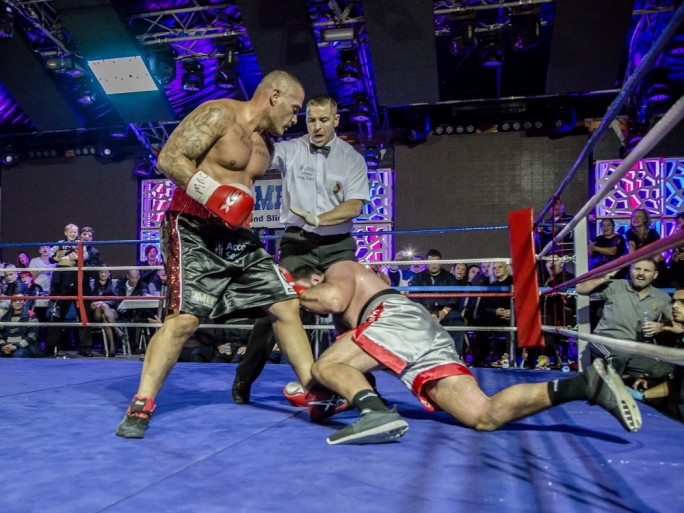 Mayweather dominated throughout with his long jab and straight right the main tools used to cruise home in the richest fight in history that is expected to have generated in the region of £330million. Pacquiao's best round was the fourth when he landed with a hard southpaw left and for a moment a celebrity-packed crowd at the MGM Grand sensed an upset was on the cards. But defensive master Mayweather - who looked so much bigger - showed his survival instincts and spent much of the remainder of the fight peppering the underdog with jabs, right hands and the occasional left hook. For purists seeking technical brilliance it was a classy performance, but Mayweather is sure to be criticised for negativity and it was undoubtedly Pacquiao who was the aggressor. Pacquiao claimed during his post-fight interview that he felt he had won, but it was hard to argue a case for him taking more than two rounds with the 116-112 scores appearing generous. 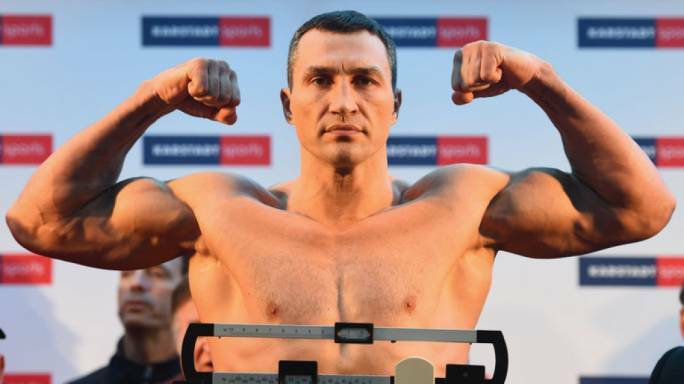 The 36-year-old looked clumsy at times as he charged in, seeking to engage Mayweather in the type of fight that suited his strengths, and it would be hard to justify a rematch given the lop-sided outcome. 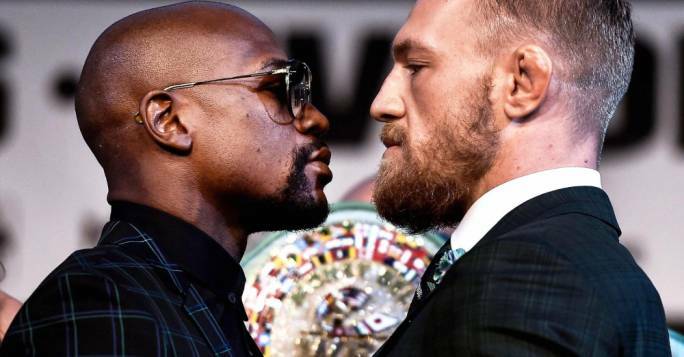 Five years in the making, a fight dubbed as a battle between 'good versus evil' and 'the fight of the century' underlined Mayweather's technical brilliance and his status as the finest boxer of his generation. The main event was delayed by almost an hour when the unprecedented demand for Pay Per View in the United States caused technical problems, prompting HBO and Showtime television executives to put the ring walks back. Pacquiao's best possible gameplan for inflicting a first defeat on Mayweather had been debated all week with the majority of opinion believing 12 rounds of relentless pursuit offered his only chance - and that was exactly how he approached the bout. 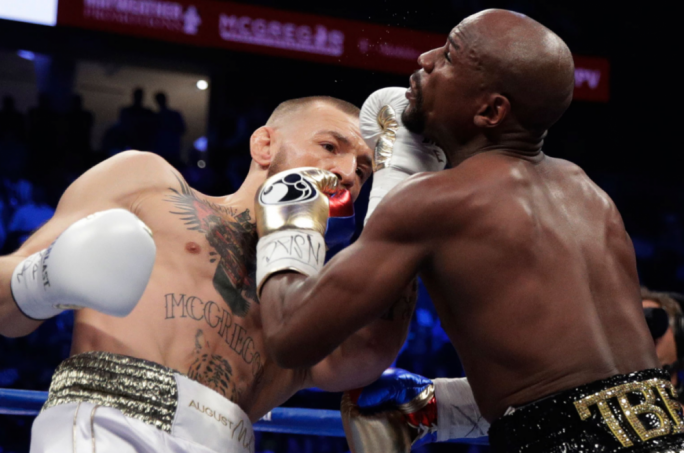 A cagy opening round saw Mayweather land the best shot with a counter right and the Las Vegas resident was happy to keep his opponent at bay with long jab. 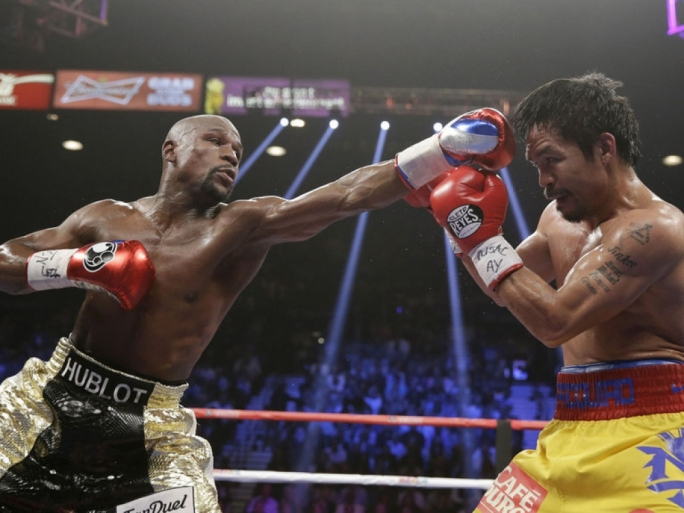 Pacquiao was being caught as he charged into range but he was able to unleash a flurry of blows as he mauled Mayweather against the ropes, forcing cheers of 'Manny, Manny' from the crowd. There was evidence of recklessness towards the end of the round as Pacquiao rushed in, seeking to engage Mayweather, but the second was a better round for the Filipino. After three rounds Mayweather was in control, but the pendulum swung dramatically in the fourth when he was backed up to the ropes by a hard straight left that had clearly left him shaken. Pacquiao fired a barrage of punches but Mayweather had covered up well and took them on his gloves, although he was also forced to eat a short right hook. Mayweather re-established control with his jab in the fifth and, in the sixth, shook his head and mouthed 'no' as Pacquiao launched another furious assault on the American's gloves. Two big right hands were a statement of intent by Mayweather as the seventh got off to a lively start and he landed heavily again mid-round, peppering Pacquiao with jabs throughout. Pacquiao enjoyed some success early in the eighth but he appeared to be tiring and became increasingly ragged, taking a couple of left hooks and a sublime counter right. The ninth saw Mayweather continue to land the cleaner and more conspicuous blows, dancing around the ring and occasionally coming under pressure. By the 10th Pacquiao seemed to be running out of ideas, bravely chasing his long-term rival down only to be picked off while enjoying occasional success against the ropes. Mayweather tapped his gloves together as he continued to command the ring in the 11th and when the final round arrived Pacquiao needed a knockout to win. It started with chants of 'Manny, Manny' once more, but the popular Filipino's supporters were cheering for a lost cause as Mayweather expertly controlled the tempo with his left. Pacquiao pursued the fleeing Mayweather in desperation, but the American danced out of trouble and raised his arms aloft in anticipation of a conclusive points victory.